Hello everyone, again, a classic Roman cuisine. 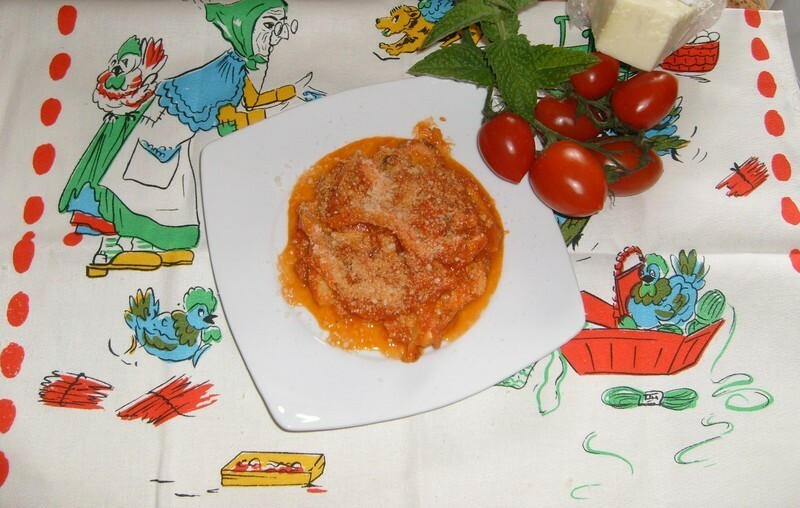 "The trippa alla romana". We all know the importance of this city, the "fifth quarter." This is nothing but what remains of the beast, sheep or cow that were sold after the so-called noble parts. The "fifth quarter" was intended for the populace. The many recipes that have come to us, are the result of imagination and skill of this large segment of the population. a good dose of mint, fresh if possible. First, buy the excellent tripe, possibly already cooked. Cut them into pieces, not too small nor too large. Take a crock pot and pour the chopped carrot, onion and celery. A little oil, and make a good .... of course fried over low heat. When everything is golden, pour the "our" tripe and let's it go for 5 minutes, stirring often, because it tends to stick. Add a little white wine and cook over low heat, until complete evaporation. Meanwhile, we engrave our tomatoes, making a cross is not too deep and put it to boil for a couple of minutes. Now remove the skin and pass them. 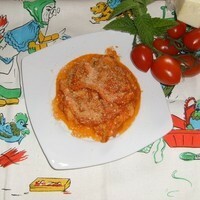 Pour the fresh tomato sauce, tripe and cook on low heat for about forty minutes. As you saw, I do not salt, because the Pecorino cheese is usually salty. When there are 5 minutes to finish cooking, add a handful of fresh mint. Now, off the heat, pour 3 / 4 of "our" Pecorino cheese ground. Mix well and serve it all in 4 bowls of pot. We add, for garnish, a good sprinkle of pecorino romano. Let us serve them hot. To drink, the better "Cesanese of affile".